Did you realize there are less than 3 months left of 2018?! So, that means I’ve got to hustle in the next little bit to tackle the projects, both old and new, that I’d love to see finished before the New Year. But first, let’s see what I managed to complete on my Q3 list! 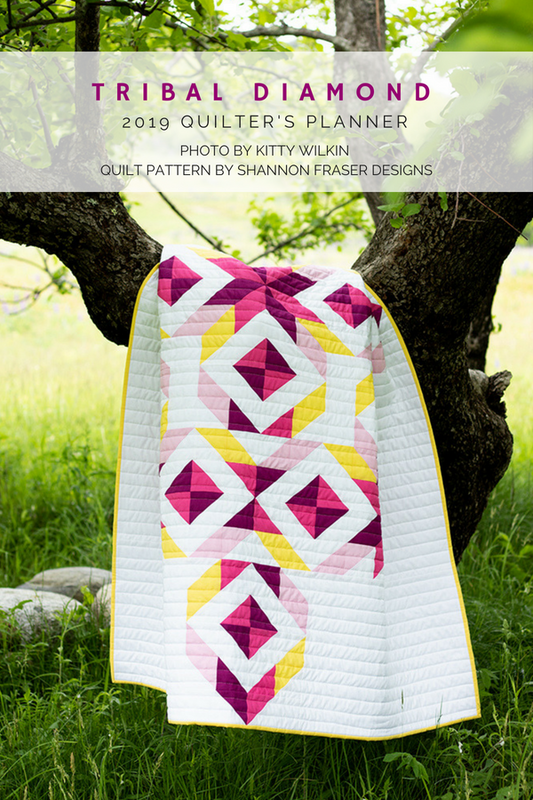 This pretty version of my Reverberance Quilt was actually done as I drafted my Q3 list, but I hadn’t yet shared her on the blog. And, well, I don’t consider a project fully done until she’s been shared with you here. Go check-out this colourful pretty that makes me smile every time I see her. I adore this little wall hanging. In fact, most of my improv pieces bring me pure joy. 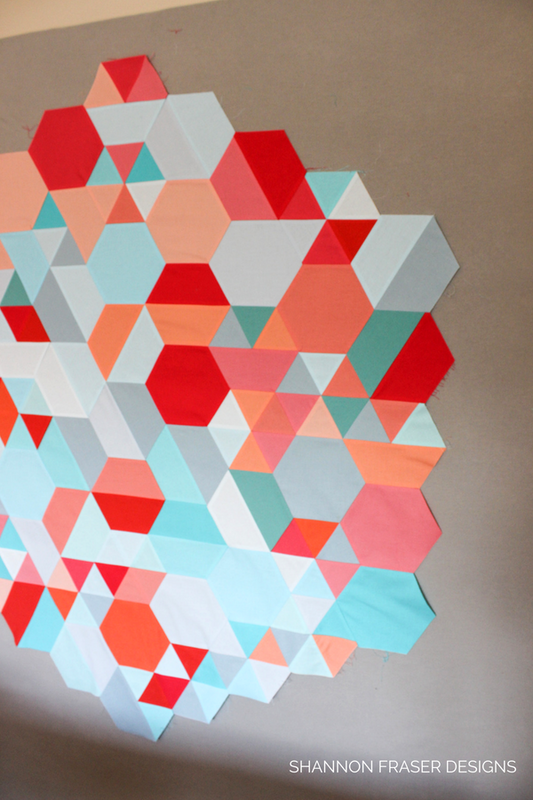 This one sat unfinished for the longest time, just hanging out on my design wall while I tended to other quilty priorities. Needless to say, it felt amazing to finally finish her up and share her with you. 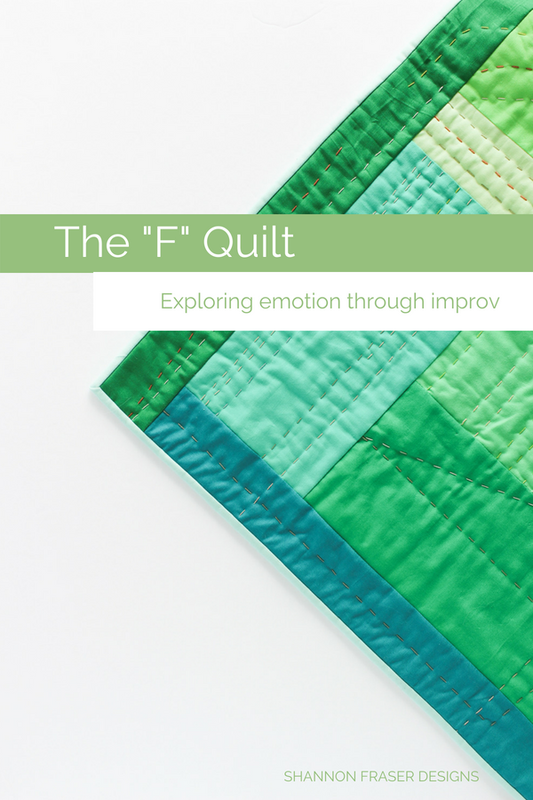 Plus, she made me realize just how much emotion goes into a quilt project. Read more about that here. 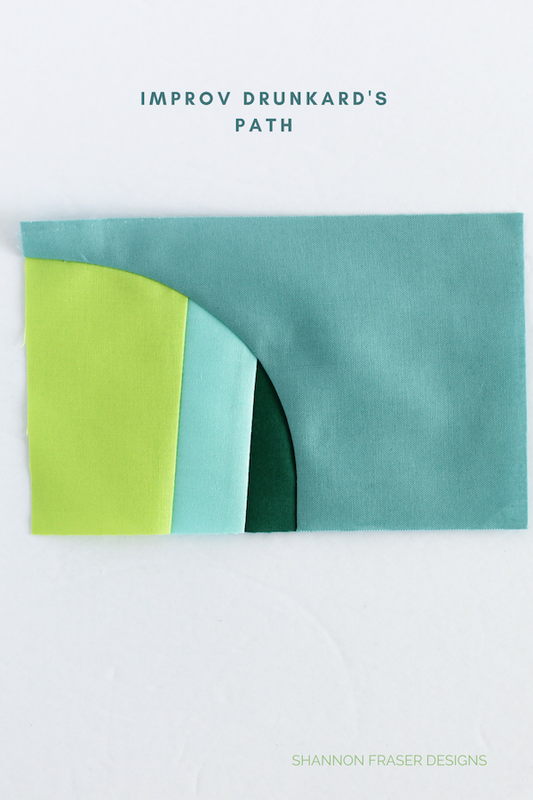 2018 has really been the year of secret sewing. Which is fun and hard ALL at the same time! 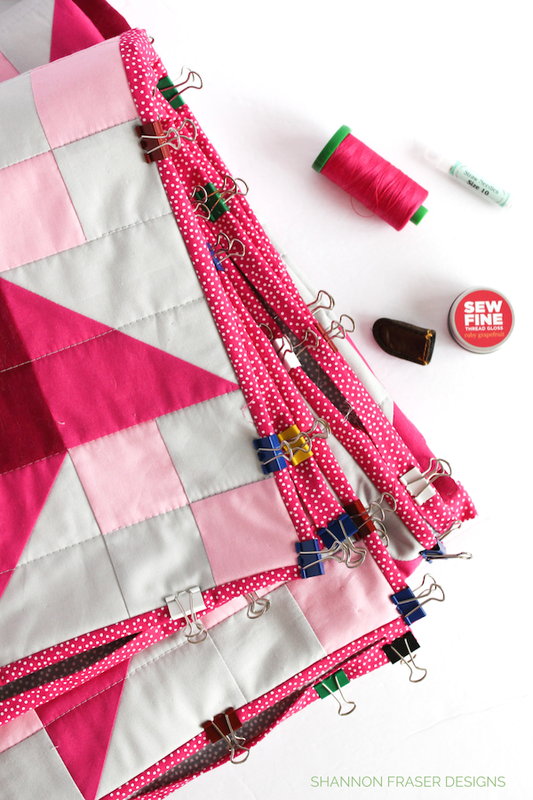 Thankfully, my Tribal Diamond Quilt didn’t have to be kept secret for too long! 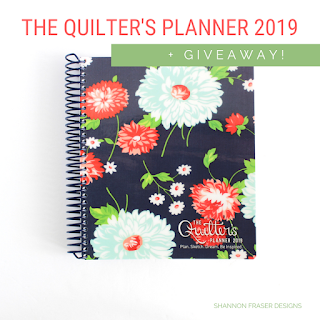 Find the pattern exclusively in the 2019 Quilter’s Planner Magazine. Still can’t share this pretty that I finished up all the way back in May. But the day is coming soon! 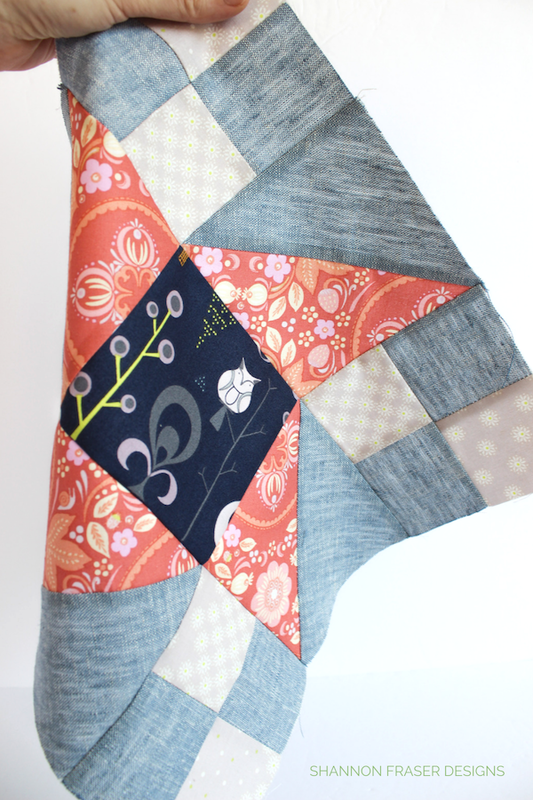 November, in fact, is when I finally get to share a new quilt pattern I made featuring Karen Lewis Textiles’ latest Blueberry Park fabric collection for Robert Kaufman. It’s a fun one – so – stay tuned! As I mentioned in my last round-up, the name did in fact change! 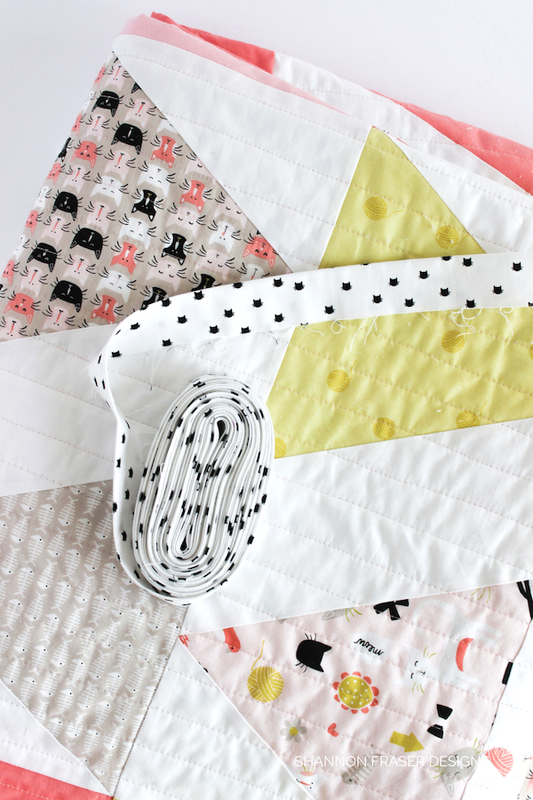 Originally called the Meow Quilt, I finally changed that to Flight Plan since it aligned better with the quilt design. This one is fully done and hanging out on the back of my sofa waiting for her close up. Actually, her second close up as the first one failed miserably! 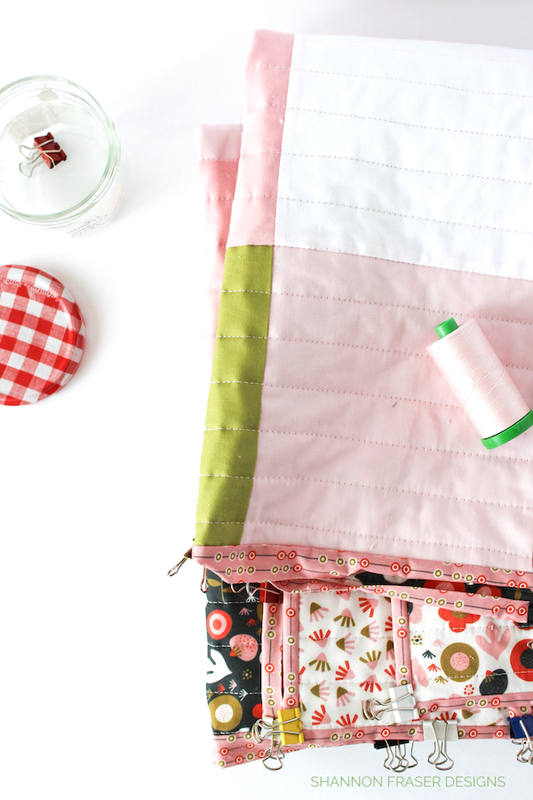 You’ve actually seen sneak peeks of her in my Quilt Binding Tutorial: Part 2 | Ultimate Hand Binding Tips, but I just can’t share her yet. In fact, I can’t reveal her until early 2019! 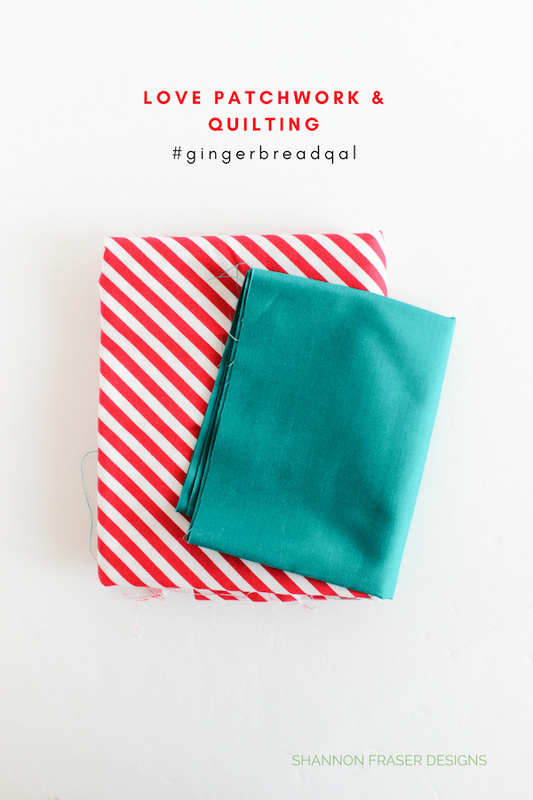 See what I mean, secret sewing is fun, but not being able to share these fun projects with you for so long is tough! I think you’re really going to like her though. So, the wait should be well worth it! Wow, now that I’ve typed that all up, I’ve realized I got more done that I thought! Woot woot! 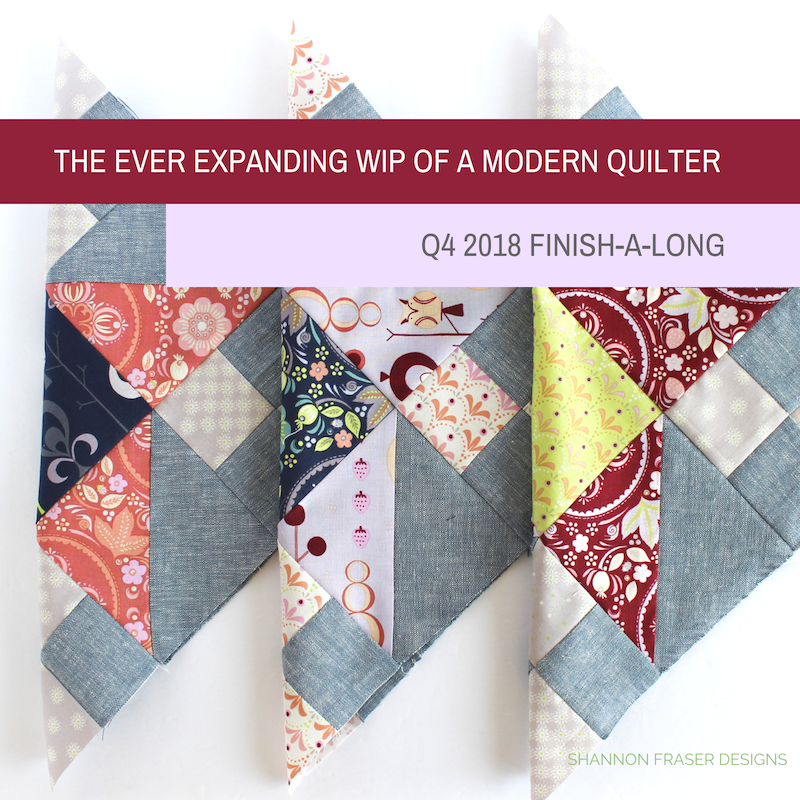 I recently mentioned that I think it’s in our quilting DNA to have multiple projects on the go. 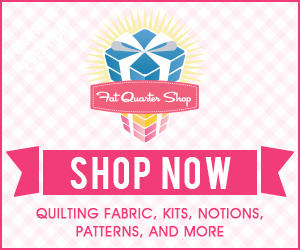 I didn’t initially get this when I first started quilting and swore I would focus on one project at a time. Bah hahaha. How naïve I was! Here are some new projects I’ve added to the list. 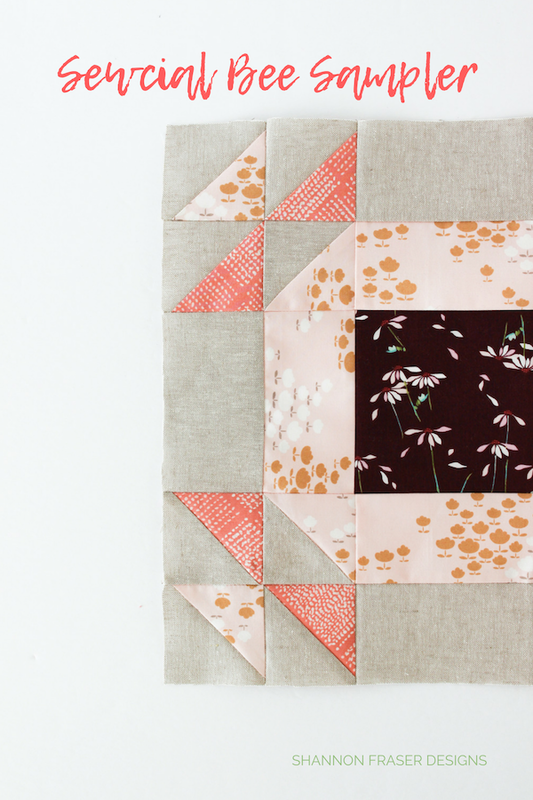 I’m super excited to share this new quilt and pattern with you. 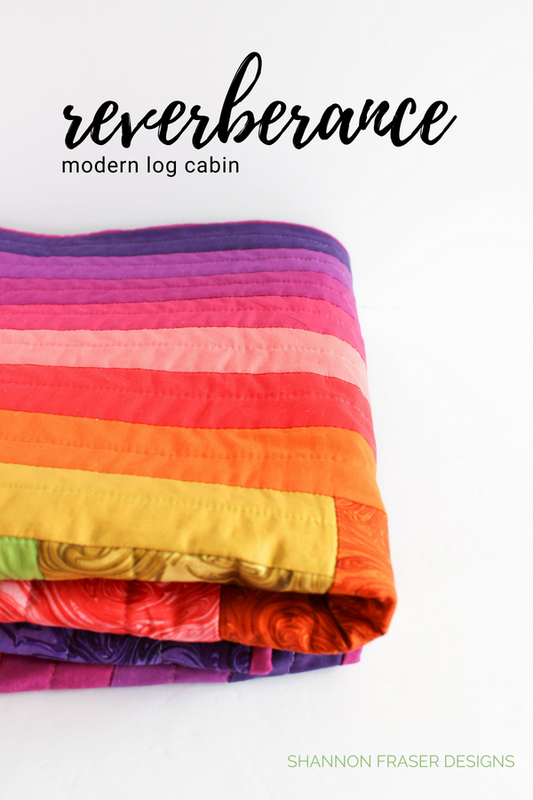 She officially launches on October 18, 2018 and I’m SO close to getting this throw size quilt done! She’s all quilted up and I’m putting the finishing touches on the hand binding. Now, I just need to keep my fingers crossed that the weather cooperates for her photoshoot this weekend! After dreaming up the pattern, I just couldn’t wait to dive in and get started. Wanting to make sure the pattern worked before sending her out to my pattern testers, I figured a baby version was the way to go. 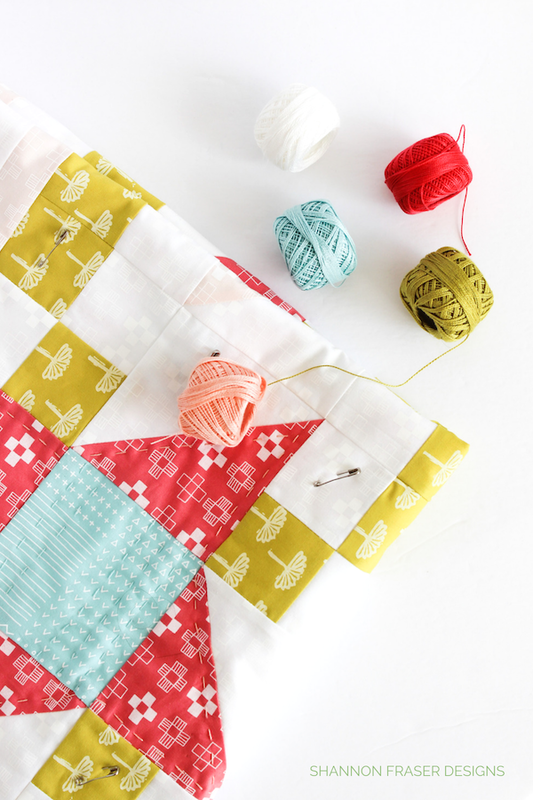 What’s super fun is that I used up some scraps left over from Secret Sewing #2 and I love how different this quilt looks from the original project. I’m feverishly working away on the hand quilting and hope to have her done in time for the photoshoot too. 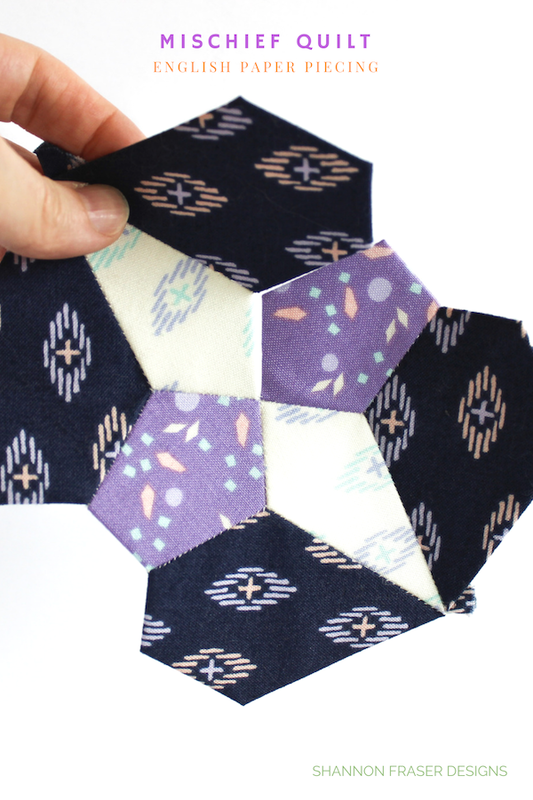 You know my love for solids, but I really wanted to include a scrappy version in my Irish Vortex Quilt pattern. This is where I finally dipped into my Forest Fable bundle by Leutenegger that I purchased back in 2017 from Westwood Acres Fabric with a gift card my SIL gave me for x-mas. I’m still trying to figure out a backing for her. I’ve gone through 3 different ideas and don’t feel any closer to a solution. Needless to say, she won’t be finished in time for the pattern launch, but I’m hoping to be inspired soon! 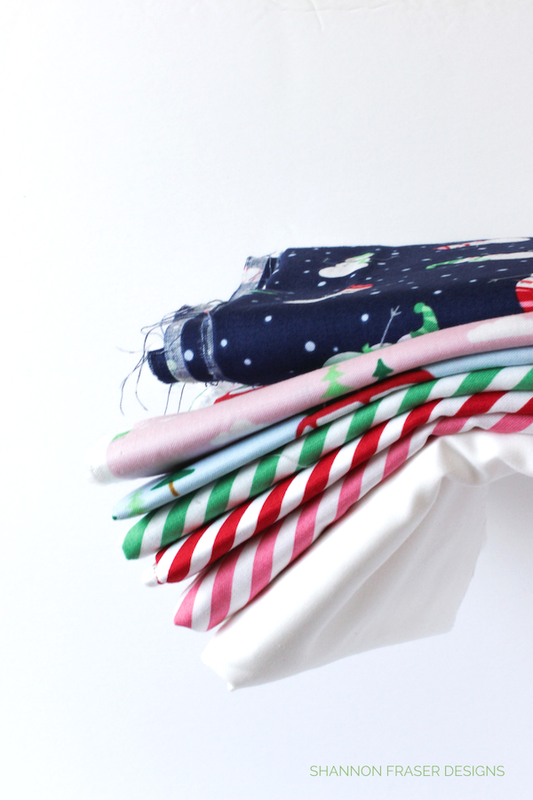 I’m not sure if you caught the announcement, but Love Patchwork & Quilting are hosting a holiday sew-a-long the month of October featuring @burlapandblossompatterns that was featured in the October issue. 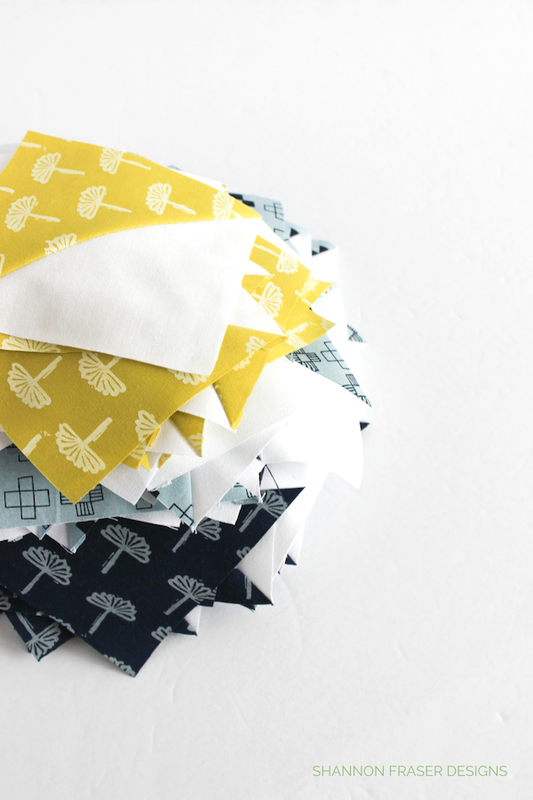 I’m still mulling my fabric choices, but pretty sure I’m going to go with these. I’ll be making a little quilted mugrug or wall hanging and will be sharing it later this month. 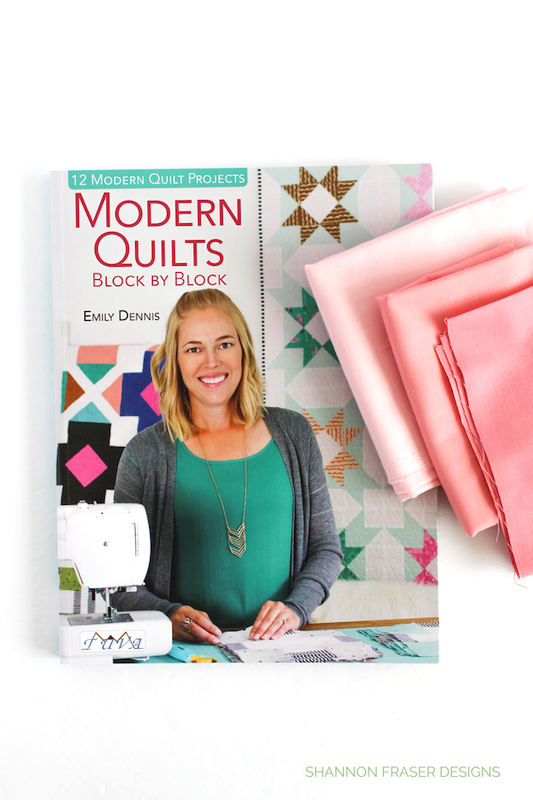 Have you seen Emily Dennis’ new quilt book Modern Quilts Block by Block? 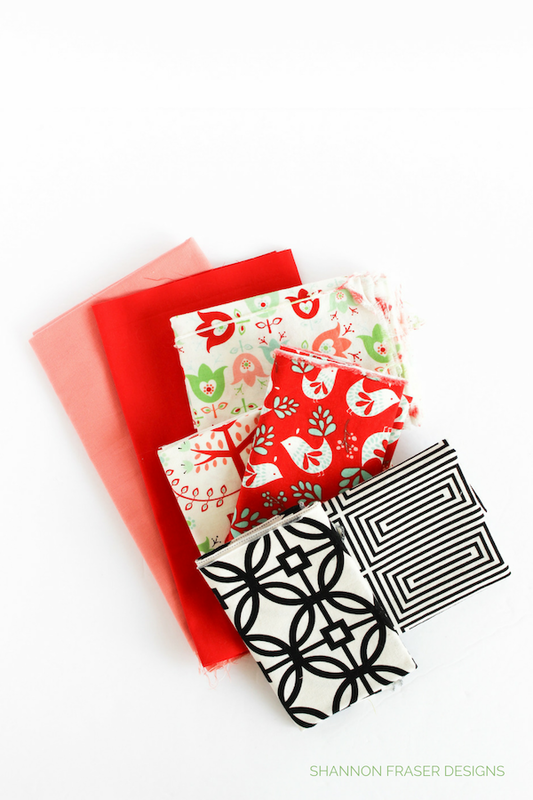 I was invited to participate in her blog hop that kicks off on October 15 and have decided on making the Figure Eight block using these pretty fabrics. 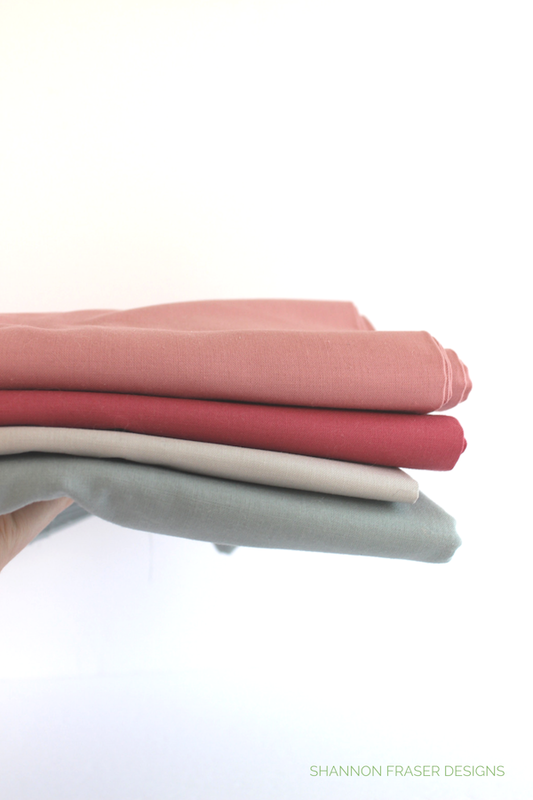 I’m back to my pinky/ peachy/ coral obsession! Stay tuned for my stop on November 1, 2018. The book officially comes out on October 15, but you can pre-order it on Amazon here. And – spoiler – it’s a good one! I think I started this one back in August, which was late for Christmas in July, but ahead of my usual start getting holiday ready in September. I just need to figure out a backing for her and then I can proceed with getting her quilted up! I’ll be honest, not much happened with the following projects this last quarter, but I guess all of the above explains that! 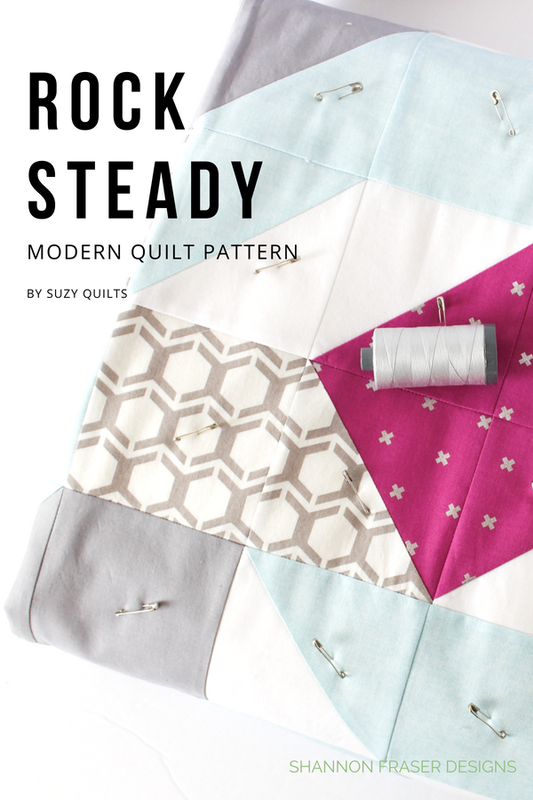 Find the Rocksteady Quilt pattern over on Suzy Quilts. This is a long-term project – as in – it will take me years to get this one done. So, it’s no surprise she’s still in my WIP pile. But, I did sneak in a couple more blocks while I was on vacation. So, there’s that! 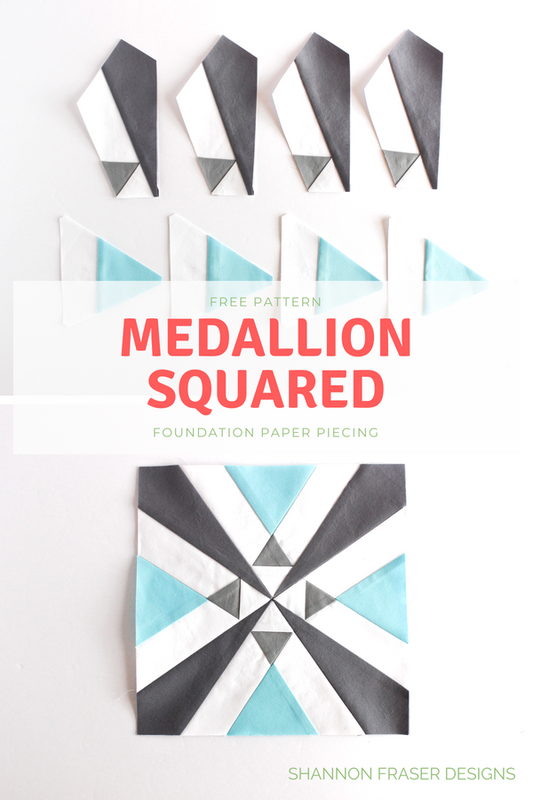 You can find the pattern, papers and templates over on The DIY Addict’s website. These pretty blocks are still sitting safe and sound in their ziplock bag. Haven’t even thought about them. Poor little improv blocks. I’ll get to them soon…ish! 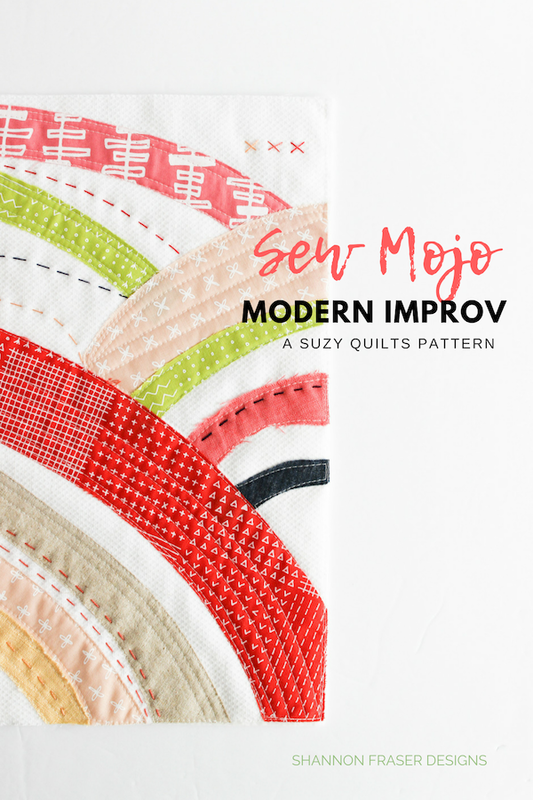 Make your own by picking up Suzy Quilt’s Sew Mojo bundle here. I have thought about this quilt so many times, but I just haven’t been able to get to her. I hope to soon. This is a free pattern for my newsletter subscribers. Sign up here. Every time I open my fabric cupboard this pretty backing is staring at me, reminding me how much I need to finish the last row of my Sewcial Bee Sampler quilt. Row 1, Row 2, Row 3 and Row 4 are all complete and just waiting to be stitched together in a quilt. I used to make pillows ALL the time and I think I’m just over them at the moment. I’m sure the pillow making bug will hit me again soon! After months and months of not touching this project, I actually made some progress on the thread burying last quarter. I thought this meant I would be back in thread burying mode, but alas that wasn’t the case. I will be diving back in soon though as I have a thread burying tutorial planned for you guys. I love this one. I think the problem is I’m just not sure how I want to finish her up. I probably just need to sit down one day and decide to tackle her. She’s going to be a beauty when she’s done. 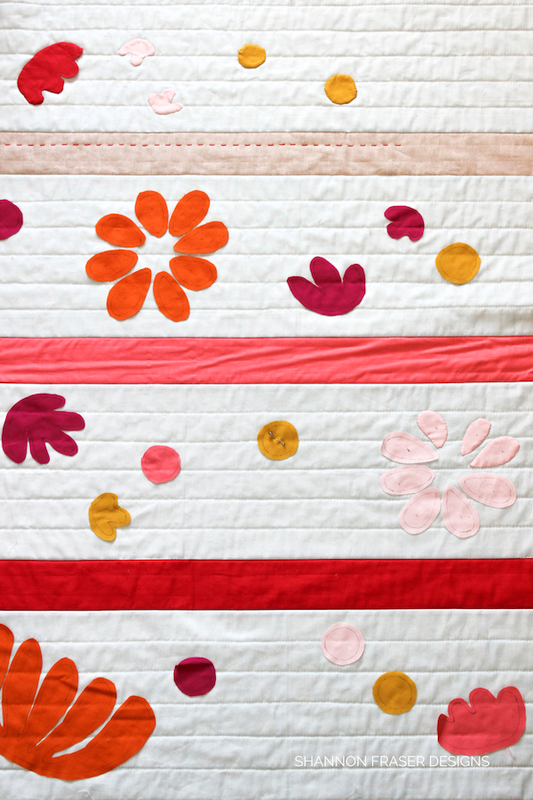 I love this baby quilt designed by Suzy Quilts. And I actually did make some progress on her. All the big stitch hand quilting is done (I think! ), it’s just the needle turn appliqué that I have left. Since I’ve already machine quilted her before attaching the flowers and leaves, once I’m done appliquéing them, I can move straight to binding! 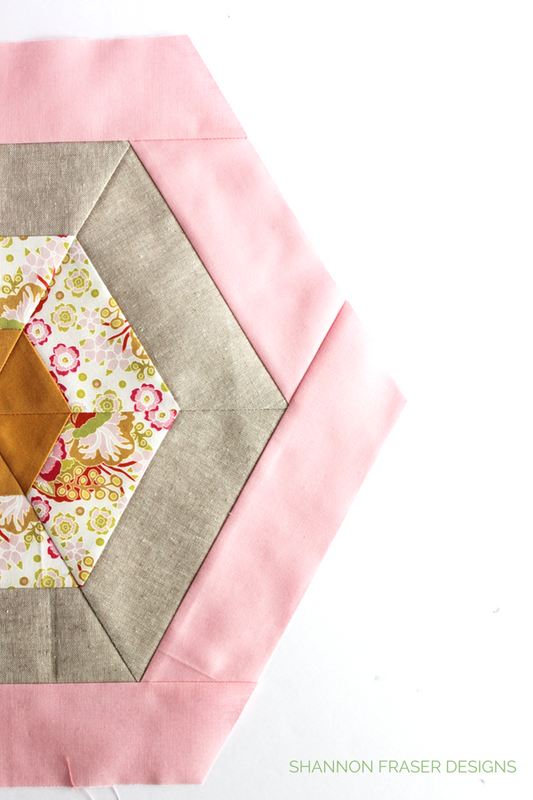 Get the Bohemian Garden Quilt pattern here. 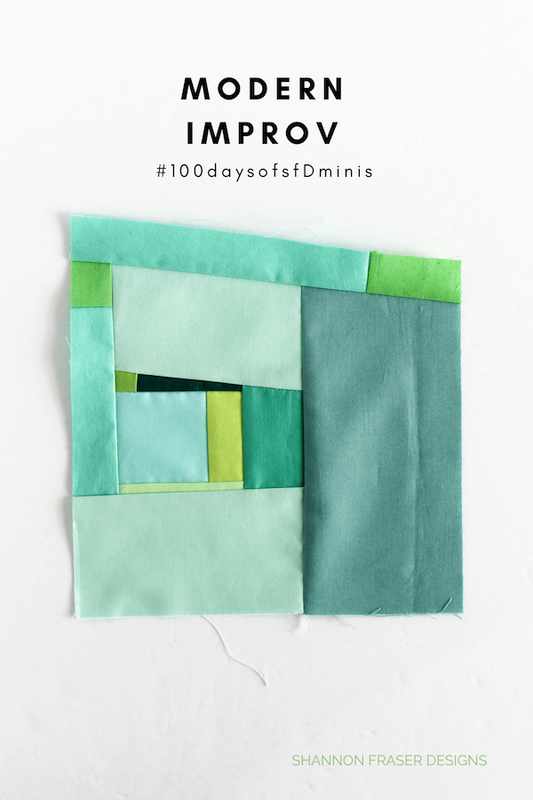 I’ve totally fallen off my 100-days of Mini Improv Quilts project, but I’m itching to get back to her. They should start making an appearance on my IG feed soon enough. Another project that I can’t wait to get back into. 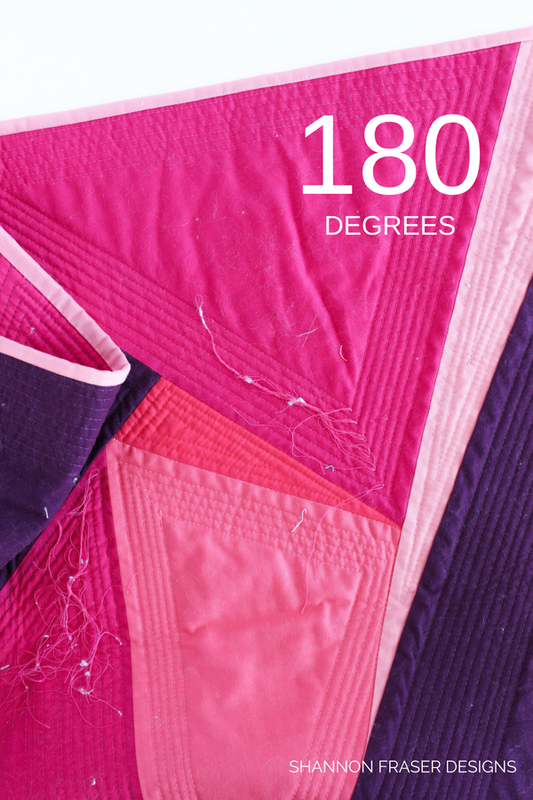 I’ve got a few blocks to catch-up on, but I’ve been loving my colourway for this quilt. Here’s my finished February, March, April, May, June and July blocks. 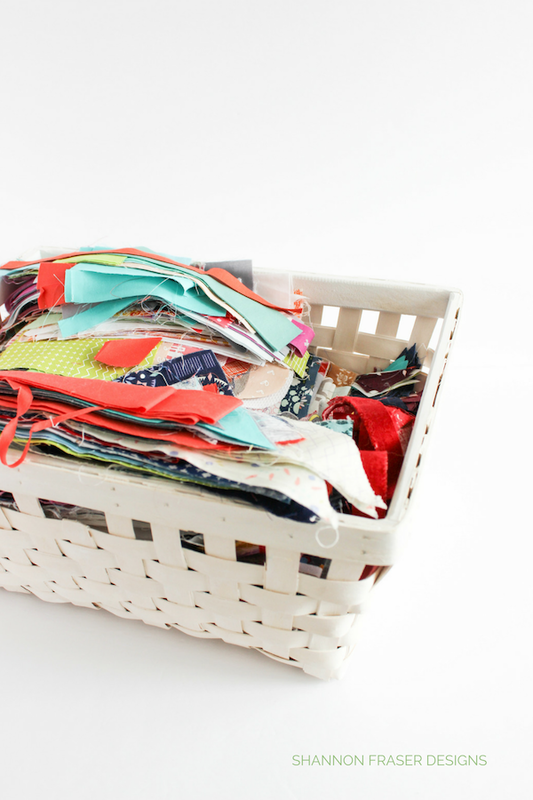 I haven’t planned anything and just dip into my basket of scraps whenever I tackle a new block. So fun and liberating! Ok, I think that sums up all the projects I have kicking around here! At least, I hope that’s all I have for my Q4 FAL list! Look forward to seeing what you plan to tackle this quarter. 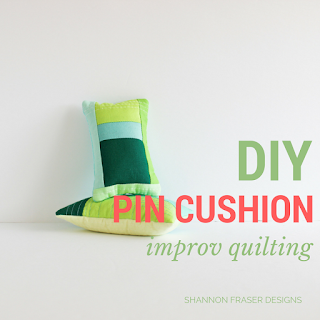 I'm linking up over on Dizzy Quilt’s Blog. You do have a long, and beautiful, list of projects to work on. I look forward to seeing what you finish and share! Wow, lovely projects! Looking forwarding to seeing them!!! So thrilled you like them! I'll be sure to share them as I finish them up!